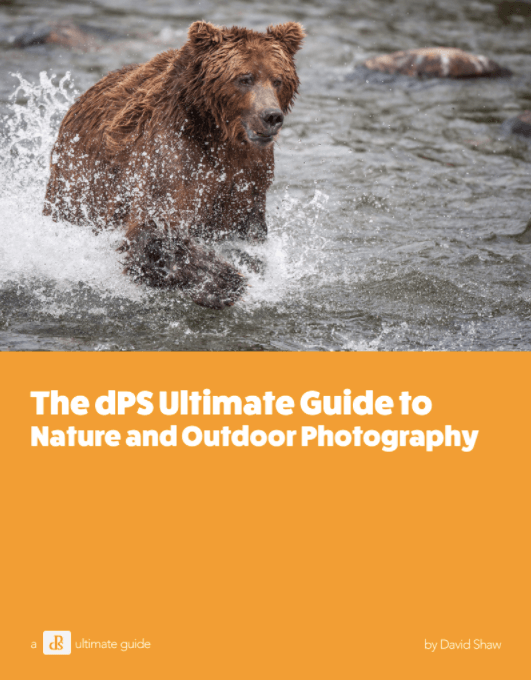 In this guide you’ll find many of the tips David Shaw has learned over the years as an outdoor professional photographer - the perfect way to get started with landscapes, macro and wildlife photography. Equipment recommendations for different types of outdoor shoots. Practical exercises to help you learn the concepts described. Detailed advice on composition and exposure for shooting different subjects in different situations. Discover the true objective of outdoor photography including ethical guidelines to ensure you do no harm when out in nature. David explains his equipment for landscape photography and gives tips on composition, exposure and focal length to get the best from your landscapes. Learn how to photograph the world up close! Includes a few equipment shortcuts to save you money, easy ways to get started in the field and post-processing tips. Tips on proximity, capturing action and movement and wildlife portraits to bring your wildlife shots to life!